The Germanwings aircrash marks another major aviation disaster to have happened within a span of 2 years. It is being said that flight 4U-9525 met the unfortunate event after a steep, sudden drop in the French Alps. However, it is not yet clear if crew error or deliberate action by the pilot, is the reason behind the crash or not. While cockpit voice recorders were managed to be obtained, their condition is far from ideal for data extraction and little repairs are needed before they begin. The flight carried 144 passengers, which included a class of 16 teenage German students, two babies and nearly 67 German nationals. The flight was supposed to travel from Barcelona to Dusseldorf. All are believed to be dead. Flight 4U-9525 dropped suddenly to 8,000 feet from its normal cruising altitude. Subsequently, the A320 further dropped to 6,000 feet and lower within 8 minutes. The Air traffic Controller had lost contact with the A320 when the aircraft was nearly 6,000 feet from sea level. It is supposed that the aircraft had crashed shortly thereafter. 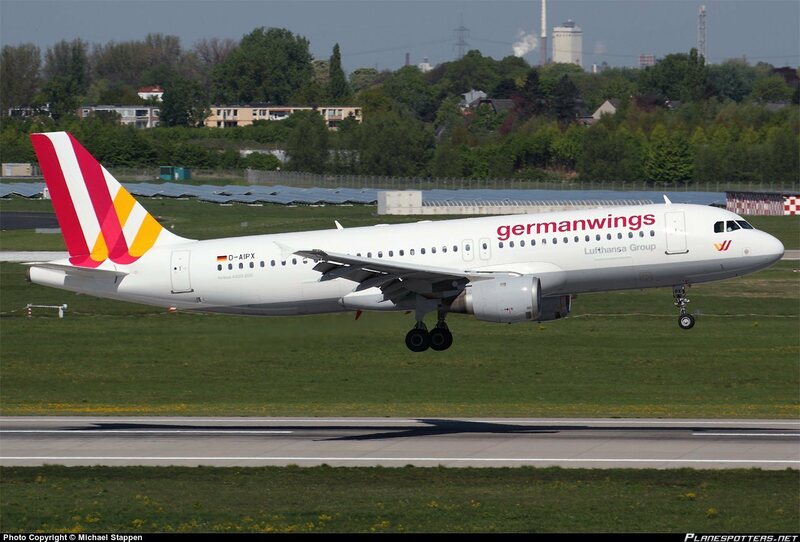 The A320, which crashed on Tuesday, was handed over to Germanwings by Lufthansa. The aircraft is supposed to have served from 1991 and handed over to Germanwings in 2010. Routine check were performed before the flight by the technical department of Lufthansa and “nothing remarkable” was found in the check. Chief Pilot Kenan Scheib believes that it wasn’t a computer error since it was recently upgraded. The pilot of the flight was quite experienced. He had flown around 6000 hours in the A320 under Lufthansa. He had more than 10 years of experience. The name of the flight captain hasn’t been declared either by Germanwings. Germanwings have yet not displayed the names of victims. The list of the victims of the crash will be displayed in their website only after the families of the dead have been informed.